This winter, Amsterdam will transform into a city of lights with the help of contemporary (inter)national light artists during Amsterdam Light Festival. Both residents and the city’s many visitors are treated to a spectacle of light. This years edition revolves around a famous statement of scientist Marshall McLuhan. “The Medium is the Message” asks the question: What role does light play as a medium or as a message? Over 600 artists from all over the world have looked into this theme and submitted their concept. 30 artworks were eventually selected for the festival, which you can find throughout the city from 29 November on. Let the beauty overwhelm you during a canal boat tour or admire all there is while strolling or cycling through the city. The historical center of Amsterdam will be the unique decor for this international festival. The city will be complemented by light sculptures, projections and installations by contemporary artists. A boat route will take visitors past artworks along Amsterdam’s canals and the Amstel. During the festival, light will play a central role in the city as museums and institutions organize light-related activities, introducing visitors to innovations in light art. The artworks present a unique take on the modern city of Amsterdam. Amsterdam Light Festival consists of two main routes. The boat route, Water Colors, offers a unique view of the city from the perspective of Amsterdam’s famous waterways. Or are you more interested in going for an evening walk? Bundle up and get outside for the walking route, Illuminade, that winds its way through the culturally rich neighborhoods Weesper and Plantage in Amsterdam East. 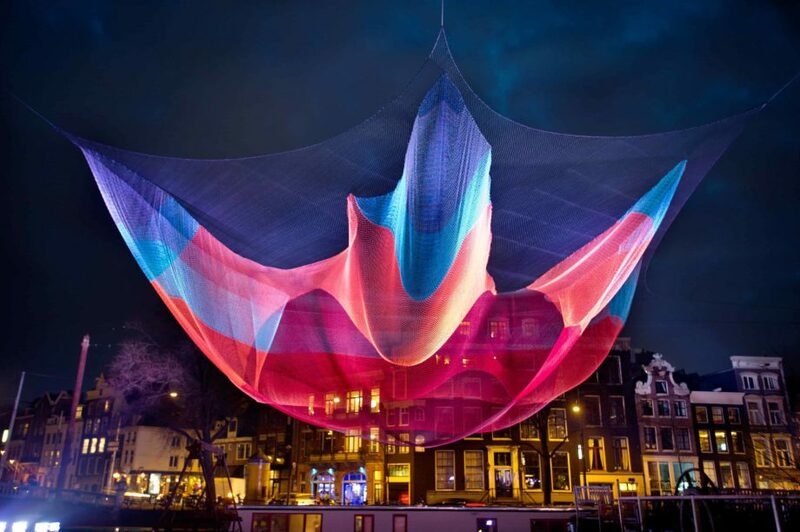 Amsterdam Light Festival was founded by numerous entrepreneurs in Amsterdam and has now become a private foundation. The festival would not exist without the help of the city’s cultural institutions, knowledge institutes, businesses, funds and the municipality. Many people from different industries have committed to shining a spotlight on the Dutch capital. 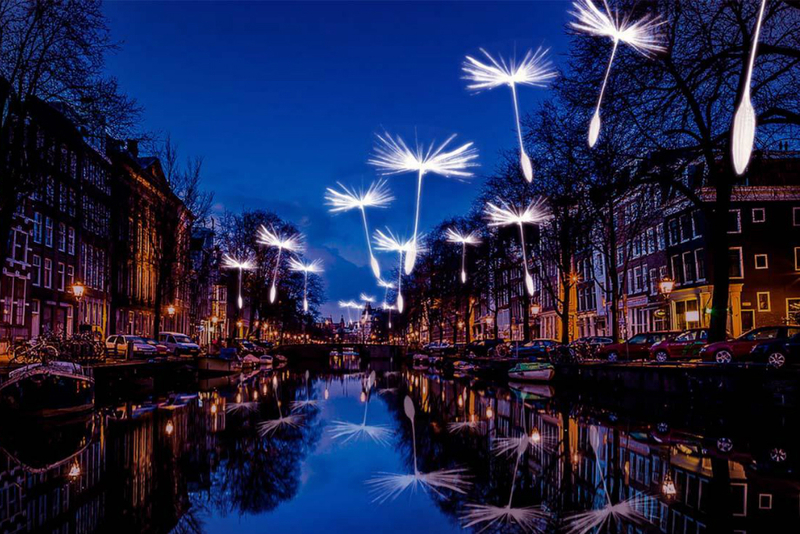 Let’s celebrate the winter in Amsterdam together with art, light and water!